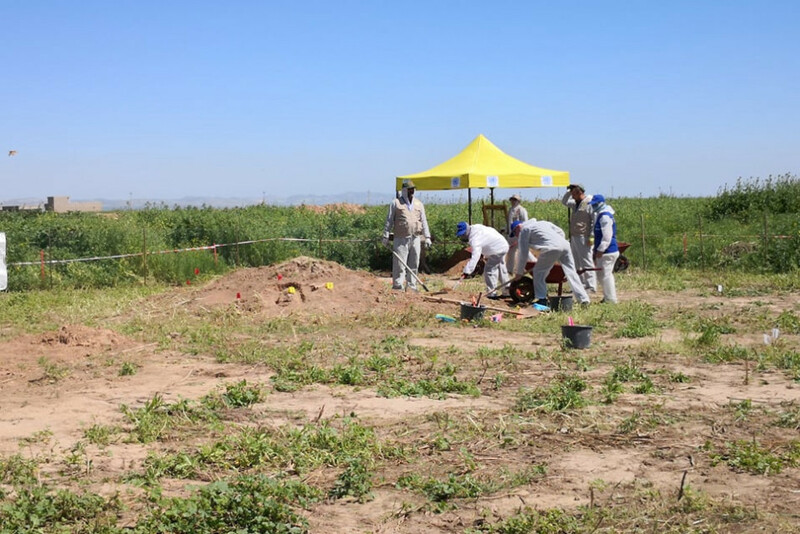 Forensic teams on Friday April 12 started the exhumation process for two mass graves in the predominantly Ezidi populated town of Shingal (Sinjar), Ninewa province. Both mass graves were found earlier in Kojo village, where Islamic State fighters massacred hundreds of the Ezidi community and dumped their bodies in ditches. The unearthing of the first mass grave in Kojo village started on Friday March 15, in a ceremony attended by relatives of the victims, Ezidi women activist and Nobel Peace Prize Laureate, Nadia Murad as well as Ezidis’ spiritual leader Baba Sheikh. The remains of 28 Ezidi victims including women and children were found in the first mass grave, yet no figure have been disclosed about the estimated number of victims the two new mass graves might contain. The remains of the victims exhumed from the mass graves are sent to Baghdad for further genetic tests that would help identify the victims before they are reburied in Shingal. Thousands of Ezidis in Kojo and other parts of Shingal were mass murdered by IS militants and were buried in 73 scattered mass graves in the area.